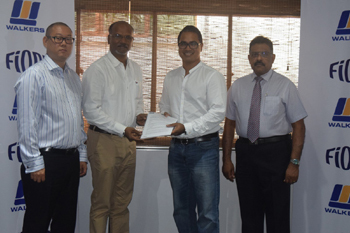 Walkers Equipment, a subsidiary of MTD Walkers, announced that it has been appointed as the Exclusive Authorised Dealer in Sri Lanka for Fiori Asia Pacific, Singapore. Operating under the concept of ‘Take control of your Concrete, Anytime and Anywhere,’ Fiori designs, develops and manufactures off-road concrete batching vehicles and dumpers for the construction industry. Fiori also specialises in finding the most effective solution for any customer in producing and transporting any grade of concrete on-site with a great flexibility, minimising energy costs and reducing environmental impact.